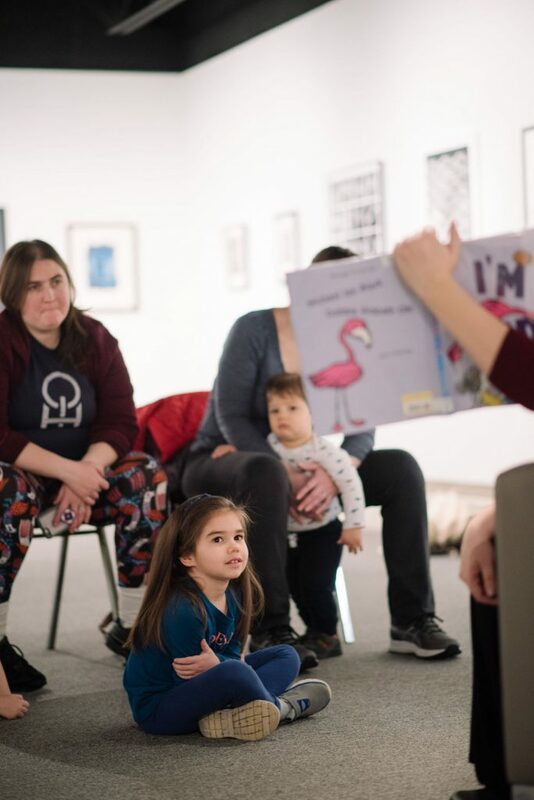 On the third Monday of every month, kids, parents and educators gather to explore a theme through both art and literature. For January’s lesson on emotions, Melissa from Dayton Metro Libraries took a group of kids ages 3 to 6 through four books that explored feelings in a fun, accessible way. Games and chats between books kept the kids engaged, even on a snowy day when cabin fever was running high. After story time, everyone switches rooms for the art making portion of the program. Led by Rosewood instructor Kate, the art projects are process oriented and reinforce the concepts learned from the books. This time, the kids made masks representing different emotions. 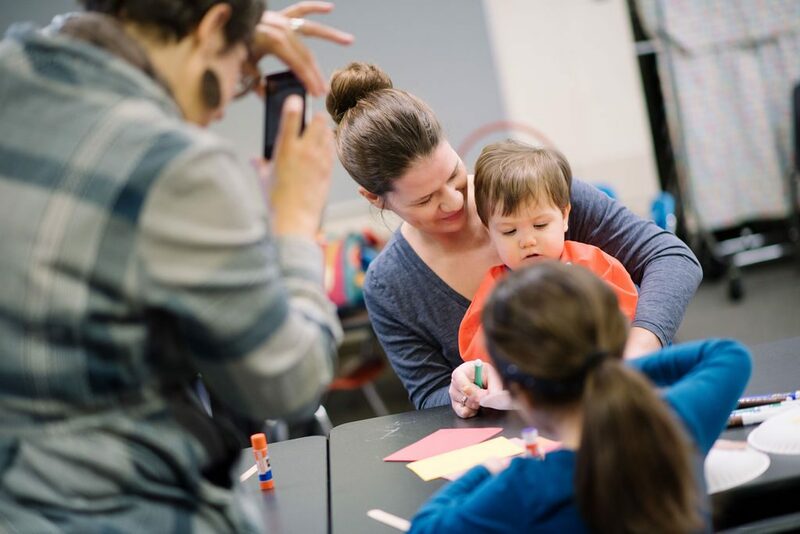 “It’s our first time here, and we were especially looking forward to blending art with literacy,” said Kandice, who attended with her son and daughter. 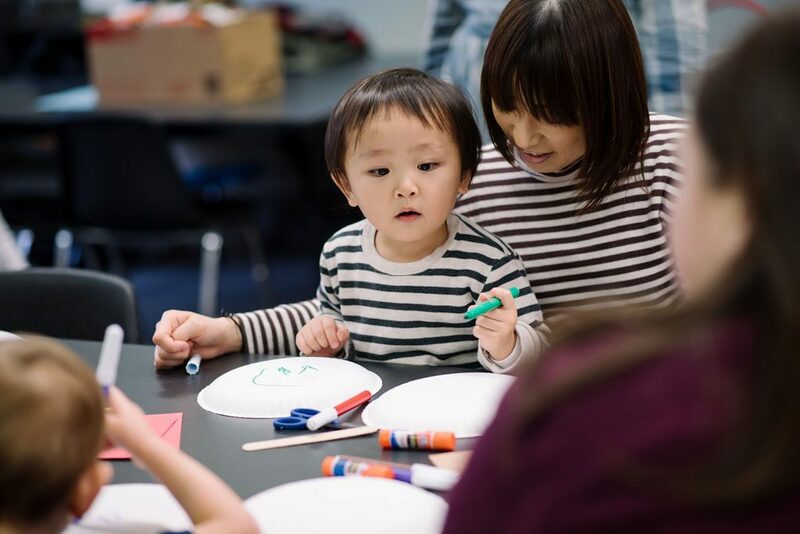 Yukari attends the program frequently with her young son, who enjoys having the run of the gallery and painting. “We really enjoy the program,” she said. Both art making and reading are crucial to preschool age kids, whose brains are developing at rapid rates. Each activity helps to develop neural connections and executive function, which is related to complex decision making, memory and self-control. 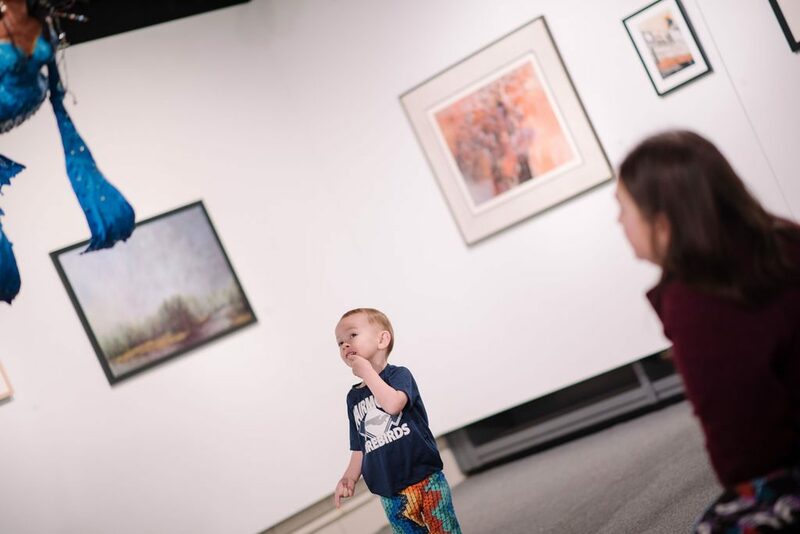 “It’s really important for little people to have exposure to a gallery, which are rarely child-friendly spaces, and to explore art techniques,” Kate said. 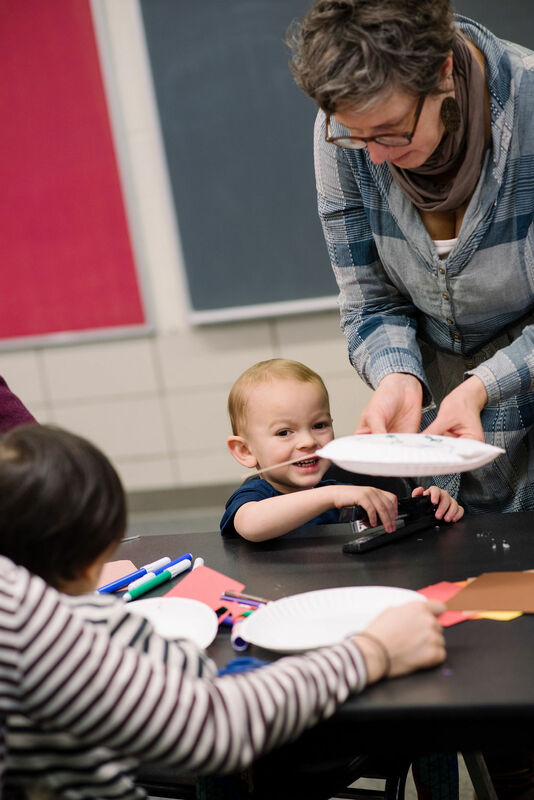 “I feel strongly about using process-oriented projects with kids so that they can feel comfortable.” What is process oriented art? It’s using art materials and learning techniques without worrying about the finished product. Preschoolers love creating art in the moment!